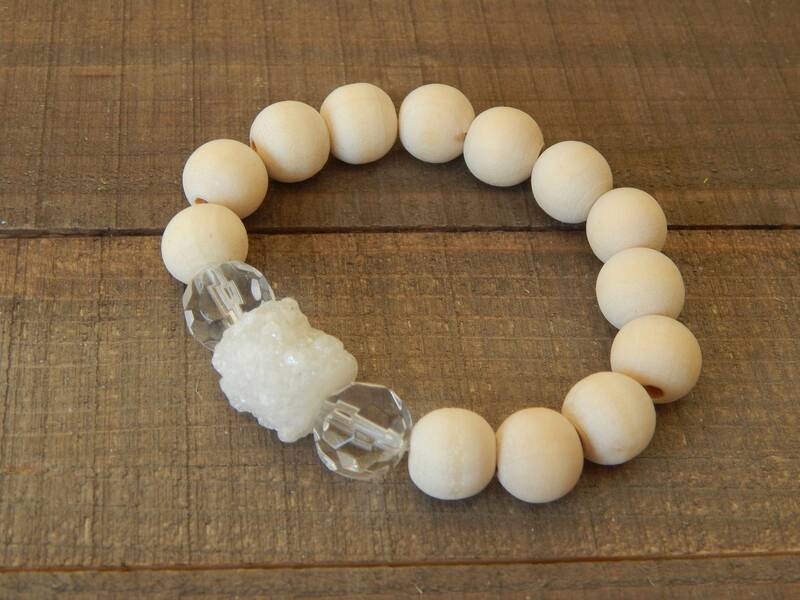 Raw wood stretch bracelet with white druzy and crystal beads lend this bracelet its earthy elegance. 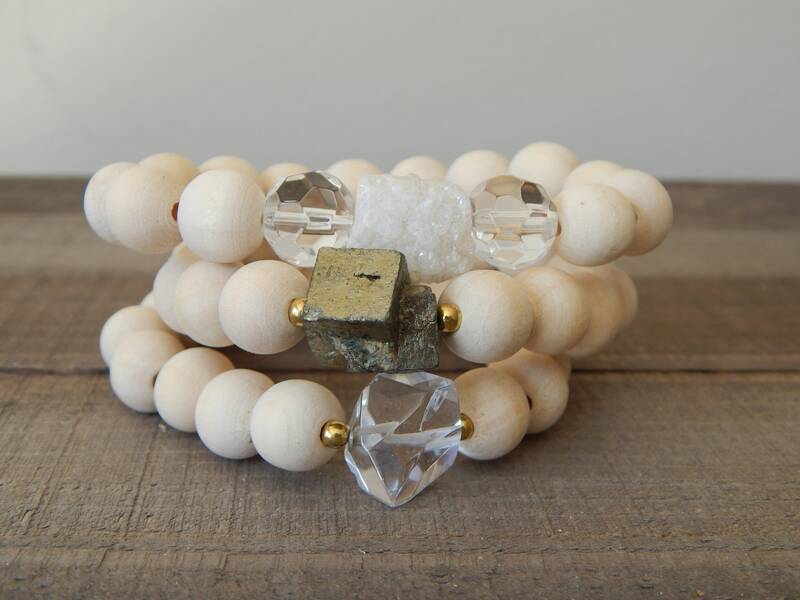 The neutral earthy colors will make this easy to stack with others or wear alone for as a statement piece. 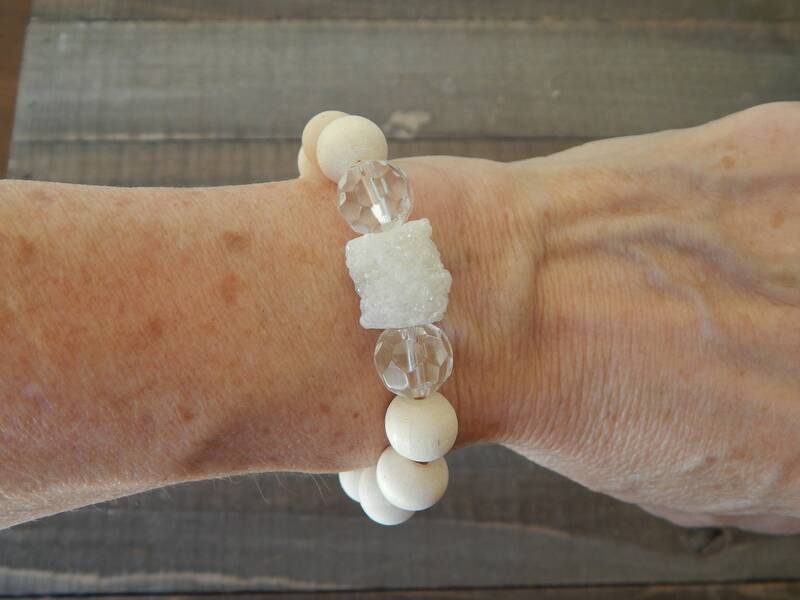 Listing is for the druzy and crystal bracelet only. The others can be found in my shop. Bracelet length is 7 inches. Beads measure 11mm and druzy is 13mm.